Next time you’re off kayaking or enjoying your free days on the water, why not have a little kayak next to you, carrying your booze? If that sounds like a cool idea, then you’re gonna love CreekKooler. 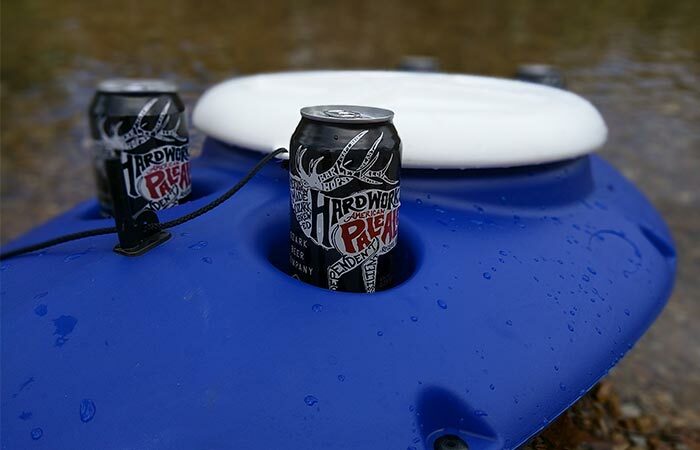 This floating portable cooler will save space in your kayak while keeping your drinks cold. By using the streamlined, reinforced hull you can drag and pull it easily along with you. This innovative floating cooler has a 30-quart capacity which means it can fit around 30 12-oz cans together with 20lbs of ice. Speaking of ice, thanks to super tough materials with dual foamed wall construction your drinks can stay cold all day long. 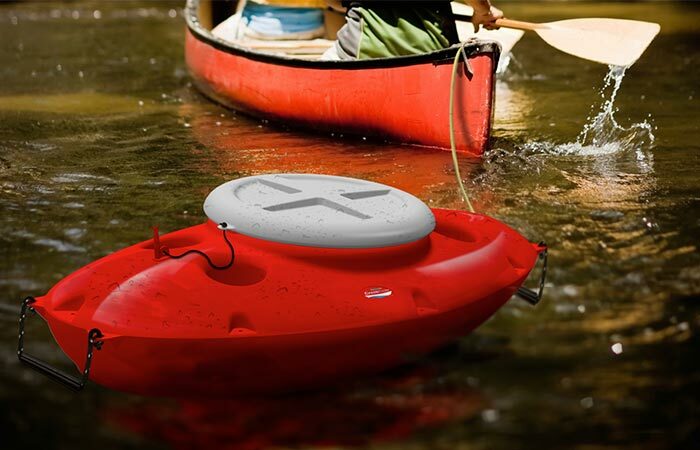 CreekKooler is an innovative floating portable cooler that will keep your drinks cold the entire day. On the deck, you’ll find four drink holders and even one mini flag holder, in case you want to mark your tiny kayak. The large access port allows you to easily grab a drink when you need it and the large locking lid is water-tight. Besides for towing it on water, CreekKooler can be used as a dry storage solution as well. As for the dimensions, it measures 39.5L x 21W x 12H inches. Available in red, blue and white. It has a 30-quart capacity and comes in three colors.